Novel systemic therapies in the neoadjuvant and adjuvant settings have shown promising outcomes for locally advanced melanoma and may reduce the proportion of patients who need complete lymphadenectomy. Optimizing systemic therapy to maximize efficiency and minimize adverse events (AEs) will be the next step moving forward, according to panelists who participated in an OncLive Peer Exchange® panel. The panelists discussed recent clinical trial results showing high rates of pathologic response with neoadjuvant therapy that targets BRAF and MEK and agents that modulate the immune system, lack of improvement in overall survival (OS) with complete lymphnode dissection for sentinel node metastases, and substantial improvements in relapsefree survival (RFS) with adjuvant BRAF- plus MEK-targeted therapy and PD-1 targeted therapy. Although the panelists agreed that systemic therapy should play a key role in the treatment of locally advanced disease, determining the optimal agents and duration of therapy will require head-to-head trials comparing the regimens. 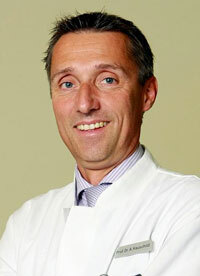 Effective treatment approaches also will involve combinations of agents, according to Axel Hauschild, MD, PhD. The trend in melanoma therapy has been toward combinations, and Hauschild said he expects that to continue. Sequencing drugs correctly will be important, he noted. Traditionally, the standard of care for patients with stage III melanoma has included surgical removal and possible adjuvant treatment. However, recent data on the effectiveness of different systemic therapies have raised questions about the relative roles of surgery and neoadjuvant therapy for locoregional management of stage III melanoma, according to Michael A. Postow, MD. Multiple clinical trials have investigated the efficacy of BRAF and MEK inhibitors, single-agent PD-1 inhibitor therapy, or combinations of ipilimumab (Yervoy) and PD-1 inhibitors for reducing tumor size to improve resectablity and treating micrometastatic disease that leads to recurrence. Neoadjuvant trials showed high rates of pathologic response with dabrafenib (Tafinlar) plus trametinib (Mekinist) for resectable stage IIIB/C BRAF V600-mutated melanoma1 and ipilimumab plus nivolumab (Opdivo) for stage IIIB/C melanoma.2 However, Caroline Robert, MD, PhD, said that the optimal duration of treatment is unknown. Complete lymph-node dissection, which involves removal of the regional lymph nodes after excision of the sentinel node, is often recommended for patients with sentinel node metastases. However, retrospective analyses of the utility of complete lymph-node dissection are inconclusive, and the procedure is associated with considerable morbidities and complications. Findings from the recently published prospective MSLT-II trial3 show that complete lymph-node dissection led to a slightly improved disease-free survival (DFS; attributed to the reduced rate of nodal recurrence after dissection) but did not improve the primary endpoint of OS in patients with sentinel lymph node metastases. These results could affect surgical paradigms at institutions, according to Reinhard G. Dummer, MD. For patients with a tumor burden ≤1 mm, he and his colleagues perform ultrasonography with close follow-up instead of a complete lymphadenectomy, which has reduced the number of surgeries by approximately 70% in his clinic. However, he performs a complete staging of patients with nodal involvement >1 mm. “If you don’t do it, then you have no information about the stages of the other nodes.” However, Dummer noted that some of the new trials for adjuvant therapy do not mandate lymphadenectomy for inclusion, perhaps acknowledging the lack of OS benefit in the MSLT-II trial.